Arm yourself with the Beaufort Bracers, a stylish and striking set of two made of high quality leather. Their angular, layered segments and antique-inspired, decorative rivets are sure to add some edge to any armour ensemble. 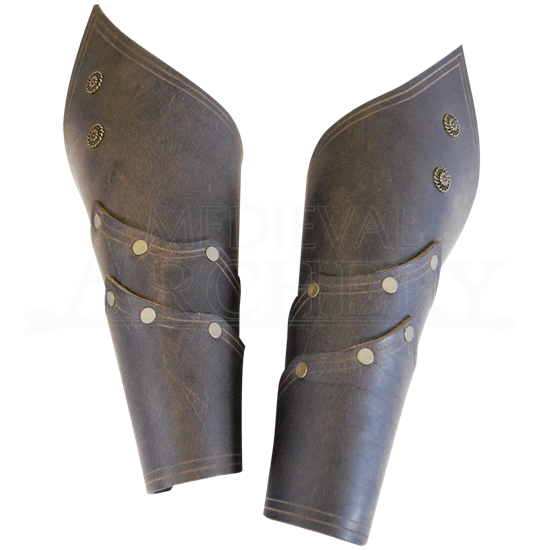 Available in black or brown, these expertly crafted bracers are versatile yet eye-catching. Each bracer consists of three leather pieces attached to each other, resulting in a unique, layered look. The decorative rivets feature a bronze color and line the edges of each lower segment, and two detailed, statement rivets add interest to the uppermost segment. On their reverse sides, the Beaufort Bracers sport a series of grommets and a cord for an adjustable, lace-up fit. 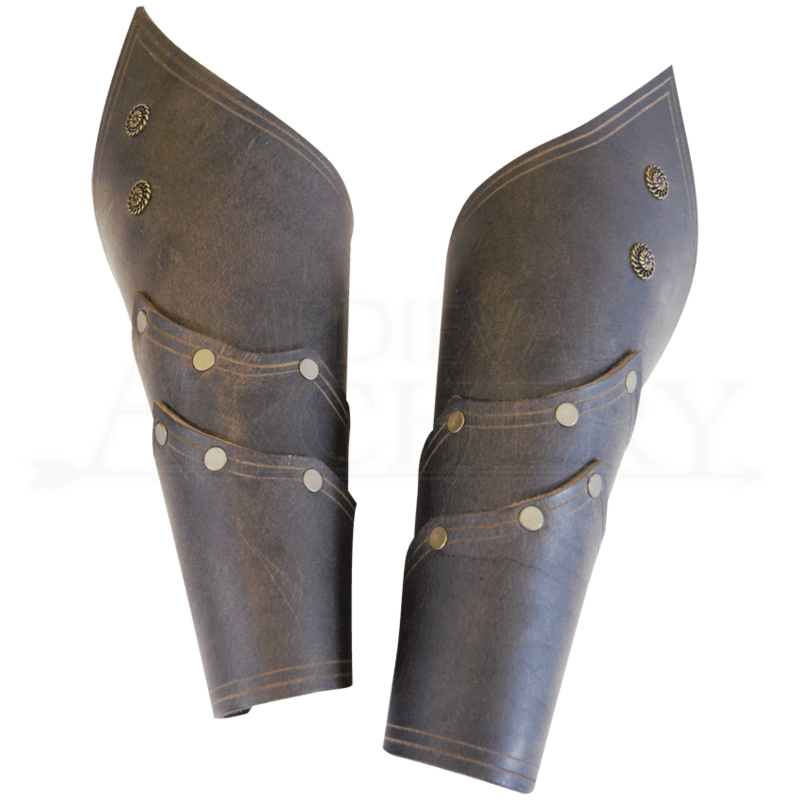 Wear these dynamic leather bracers at your next LARP event or with any medieval-fantasy themed outfit.